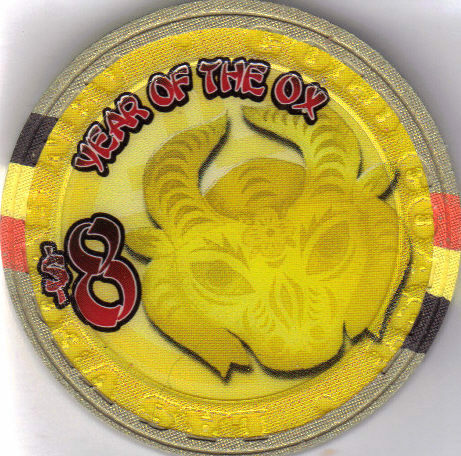 This is a 8 Casino Chip issued by The GOLD COAST Las Vegas, Nevada to celebrate The YEAR OF THE OX. Chip is about 1-1/2" in diameter Used, in excellent condition. Send email if you need additional details about this chip. Buyer is responsible for 3.95 shipping to anywhere in the USA. International shipping rates apply. Shipping always combined for multiple purchases.